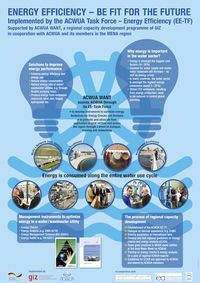 The optimization of energy use is increasingly important for all water supply and wastewater utilities. The water sector is amongst the biggest users of energy in many countries in the MENA region and there is more and more competition between the domestic and industrial users for limited and vulnerable energy supplies. While energy prices are rising in the long term, the demand for urban water supply and effective wastewater treatment increases. 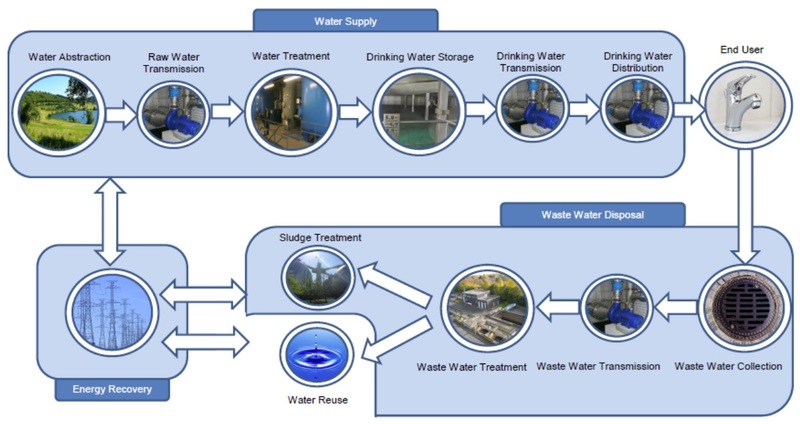 Therefore, the water sector is faced to the challenge to optimize the use of energy during all stages of water supply and wastewater management. 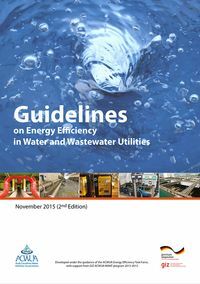 Energy Efficiency is of increasing concern in managing water and wastewater utilities. ACWUA founded a Task Force (EE-TF) to address these issues and to identify technical and managerial solutions. The ACWUA WANT project of GIZ supports the EE-TF through a process of capacity development that aims to develop instruments to enhance energy performance at utility level and to promote them amongst ACWUA members. A major product of the EE-TF is the development of Guidelines for Energy Checks and Energy Analysis (Guidelines EC/EA). They aim to guide the process of systematic checks and analysis in a water or wastewater utility. Eventually this leads towards formal energy audits, benchmarking and Energy Management Systems (EnMS) following international standards of ISO 50001. There are already many efforts of water and wastewater utilities in the region to increase energy performance in the water sector. 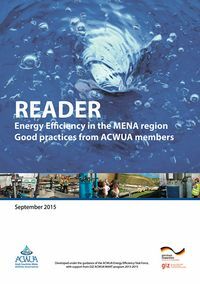 The ACWUA EE-Task Force asked their members to share their experiences in energy optimization in a Good Practice Reader. Experts from nine MENA countries provided evidence in their Papers that there is increasing expertise and experience in the region. 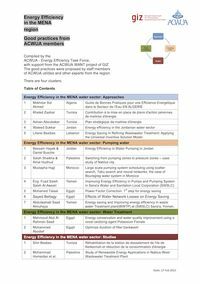 ACWUA is the regional water association who provides a platform for exchange. The ACWUA WANT program of the GIZ provided opportunities for energy experts from water and wastewater utilities in the MENA region to share experiences on Energy Management Systems (EnMS) and to learn from recent developments in energy optimization in the German water sector. At the international water fairs IFAT Munich and Wasser Berlin they had opportunities to explore the latest technologies in energy optimization and energy production from the global water industry. The section library displays some important articles and grey literature and provided references and links for further analysis and solutions for energy optimization in water supply and wastewater management. What Is Energy Efficiency About?